There’s a reason why 92% of B2B marketers use LinkedIn to distribute content. In particular, amplifying employee voices and sharing behind-the-scenes stories have proven to be great ways for big-name brands to present a dimension of relatable authenticity. In this post, we recognize Page admins at a number of enterprise organizations who are using their LinkedIn Pages to showcase impactful content, build brand love, and turn their employees into advocates. Whether you want to shape perception of your brand by sharing authentic content, build thought leadership by highlighting innovation, or attract top talent by showing off your culture and values, LinkedIn Pages have helped countless enterprises accomplish their business goals. Read on to discover how six recognizable enterprises use LinkedIn Pages to gain an edge. For more standout examples, make sure to download our LinkedIn Pages Enterprise Playbook. 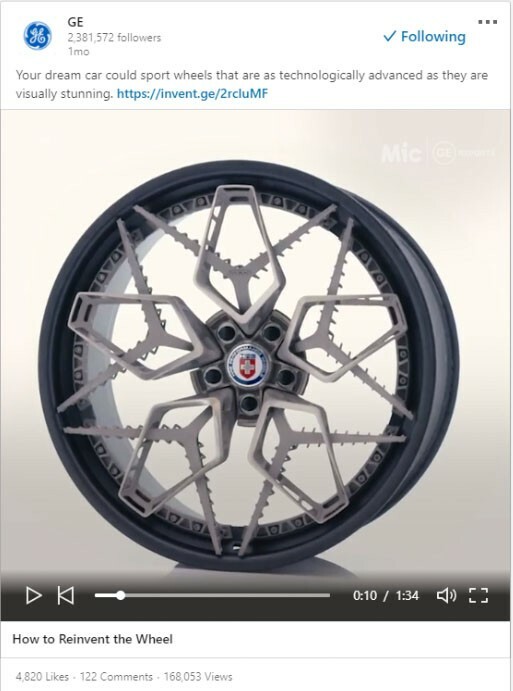 Not too long ago, General Electric shared a video of a new technique for 3D printing titanium wheels with ultra-complex designs on their LinkedIn Page—and it took off. The video has been viewed some 160,000 times, garnering more than 120 comments and nearly 5,000 likes. The video helps GE connect with relevant audience members by showcasing innovation on a platform that its target audience already uses on a regular basis. GE saw an opportunity to breathe new life into its brand story by sharing cutting-edge technology in a creative and engaging way. They brought audio and visual appeal to the LinkedIn feed, using charged music and a variety of slick aesthetic elements to keep viewers engaged until the end. The University of Southern California turns out an impressive roster of graduates every year, including Pocket Sun, Managing Partner and Co-Founder of SoGal Ventures. After graduating from USC, Sun went on to gain a stable corporate job, but had to quit once her work visa wasn’t approved. She then attended graduate school at USC, where she studied Entrepreneurship and Innovation, and eventually went on to found the first women-led, millennial venture capital firm, SoGal Ventures. 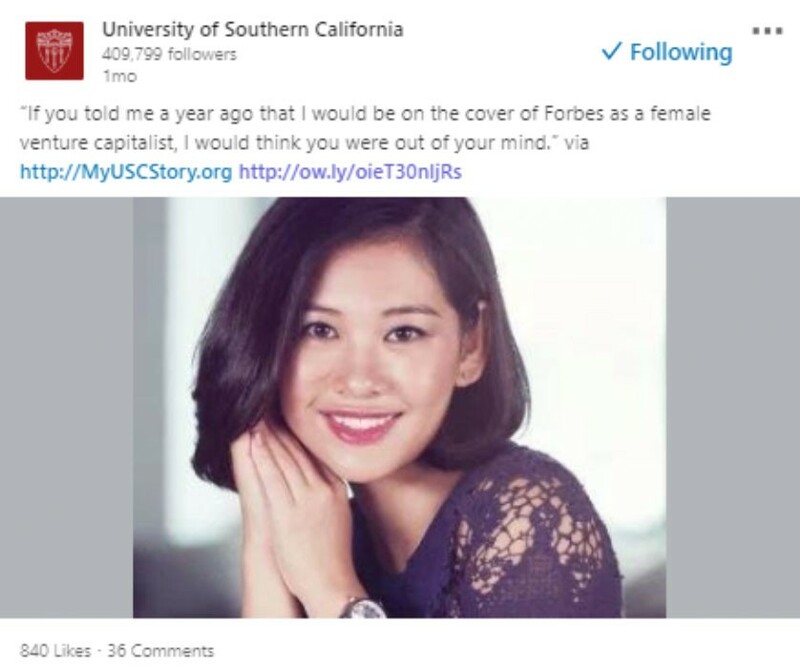 Recently, Sun snagged a spot on the cover of Forbes Magazine, and USC promptly shared the story on its LinkedIn page. Very quickly, the post garnered nearly 900 likes. Sun’s story ignited the pride of other USC alumni and employees, as well as entrepreneurs everywhere who saw and engaged with the story on LinkedIn. 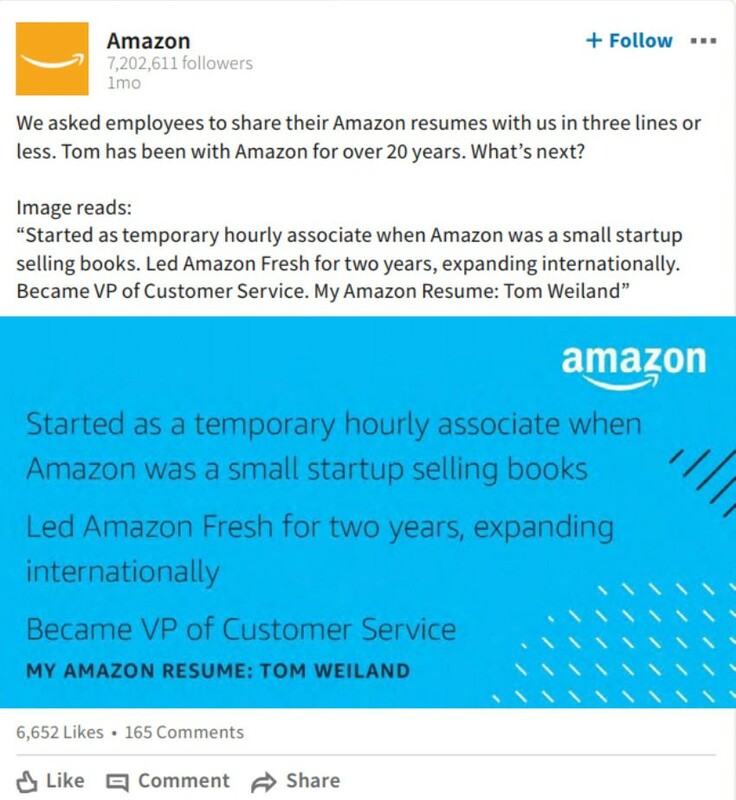 Amazon uses its LinkedIn Page to share employee voices and foster engagement within its extensive workforce. Recently, the e-commerce giant asked its employees to describe their roles at Amazon in three lines or less, and shared the results with the company’s vast LinkedIn following. The campaign drew significant participation—more than 6,500 likes and nearly 200 comments. By amplifying employees’ credible voices within their professional communities, Amazon could more authentically promote its brand. Employees were given a chance to share their professional journeys while also inspiring others in their network to consider a career at Amazon. Intel Corporation’s HR leadership program helps young professionals move up the corporate ladder at Intel. A former Intel intern, Krupa Ravi, worked for Intel as a college student and eventually became a full-time employee. To showcase Krupa’s story, the Intel team leveraged LinkedIn. Sharing the post on LinkedIn led to more than 1,000 engagements from professionals congratulating Krupa on her success, and even asking Intel if the same trajectory is possible for them. 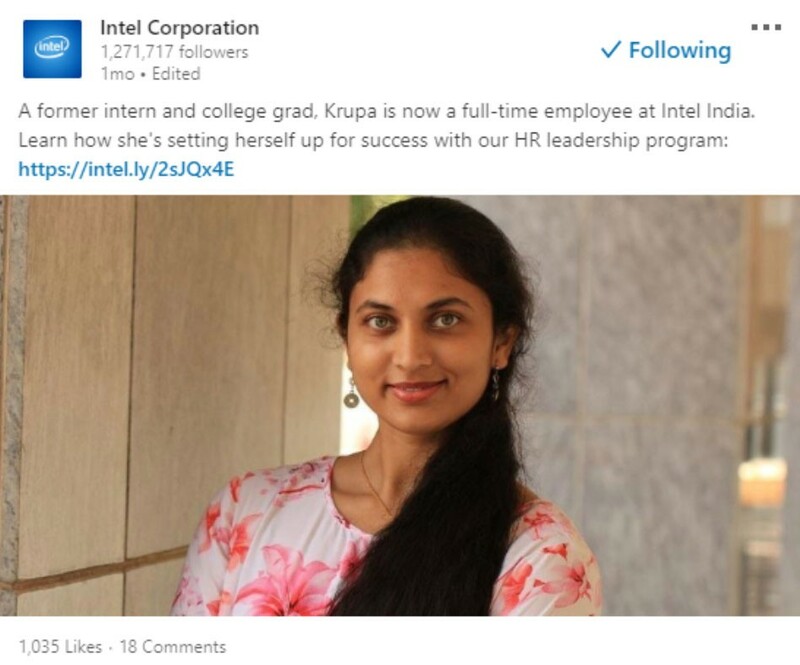 By sharing Krupa’s story across the right channels, Intel has attracted top talent and inspired others to apply for an internship or full-time career at the corporation. 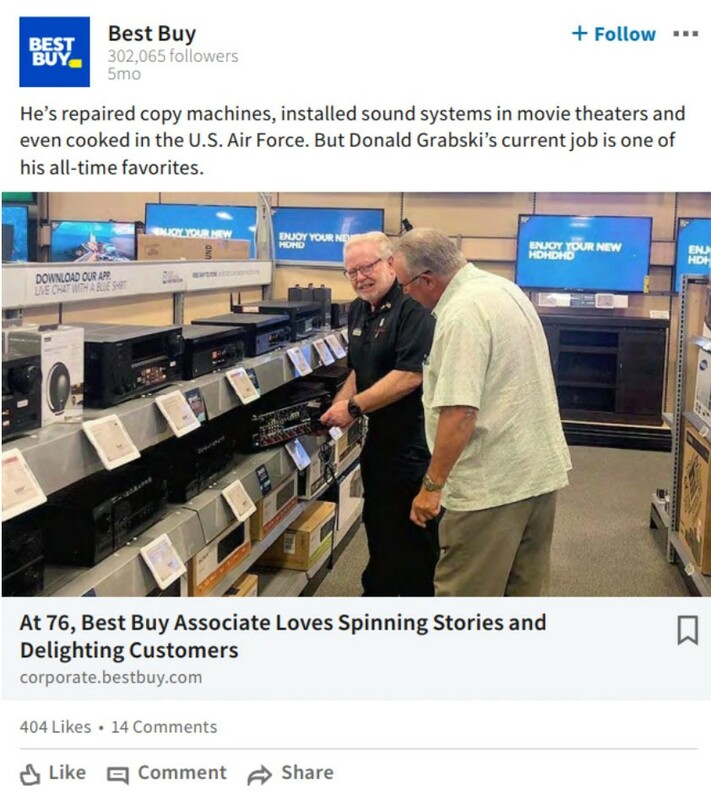 Using LinkedIn as a jumping-off point, Best Buy shared the story of Donald Grabski, a 76-year-old Air Force veteran, former DJ, and chef who came out of retirement to work at Best Buy because of his love for the brand. More than 400 of users flocked to the post—liking, sharing, and commenting with praise for both Grabski’s work ethic and Best Buy’s sharing of his story. 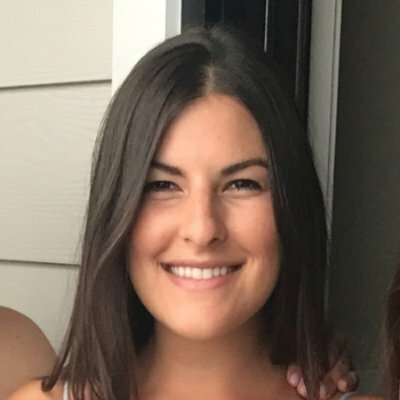 Highlighting people like Grabski helps Best Buy transform its brand narrative from that of a large tech retailer to that of a company that cares deeply about its employees. Sharing content that your company has contributed to is a simple and effective way to establish yourself as a thought leader within your industry. 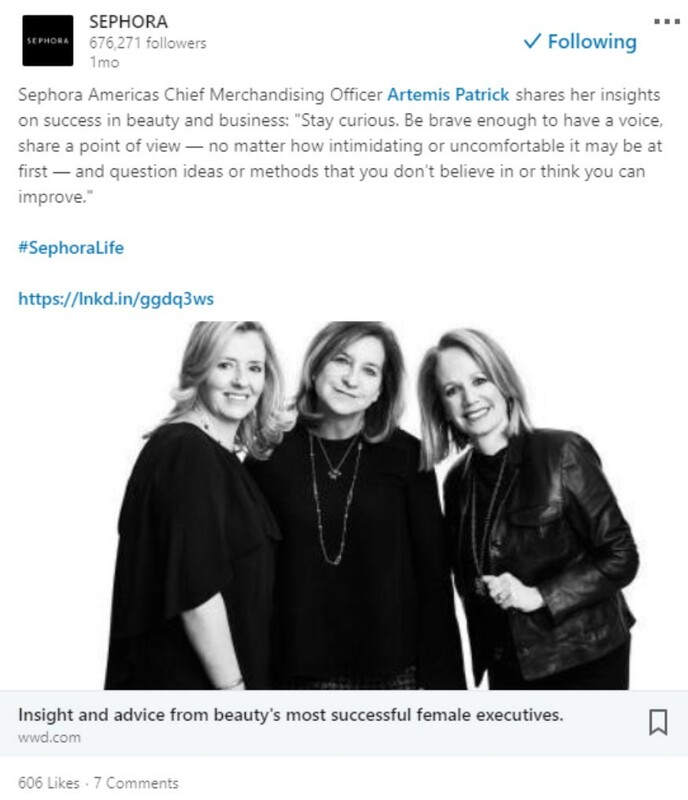 For Sephora America, the opportunity arose when the team’s Chief Merchandising Officer was quoted in an article featuring advice from the beauty industry’s most successful female executives. Sephora shared the article on its LinkedIn Page to engage its audience. More than 600 likes later, the story proved to inspire Sephora’s followers. Comments such as “Thank you for the inspiration!” and “This is great advice” helped situate Sephora as a thought leader in the beauty industry, while increasing engagement and viewership of the post. Time waits for no brand. Download the playbook to get started today.